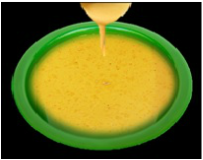 Chicken pakora is a delicious versatile Indian snack suitable as a snack, light lunch or as a starter. Chicken pakoras are little chicken pieces dipped in spicy besan batter (gram flour) and deep fried until crispy from outside and soft and moist inside. 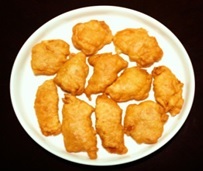 Chicken pakora generally served in cocktail parties, but it could be prepared any time as a snack, children love them. 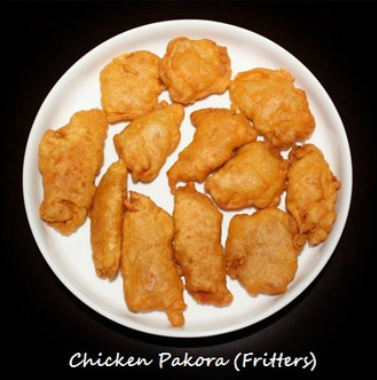 Pakora's are usually deep fried, but chicken pakora could be baked in the oven like chicken nuggets or shallow fried in the frying pan. 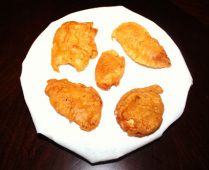 Chicken pakoras are very easy and quick to make, serve them with tomato sauce or ketchup or tamarind chutney. 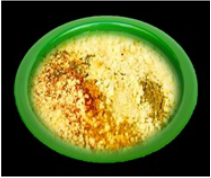 cumin powder, carom seeds, asafetida and 1 teaspoon of salt and mix them well. 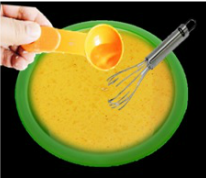 form a smooth batter. Keep it aside. 4. 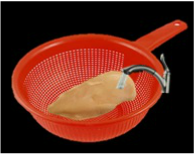 Wash the chicken and squeeze all the water out. 5. 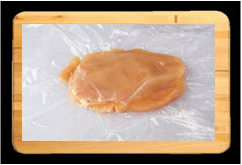 Place the chicken on the cutting board and with the knife cut thin slices. 8. 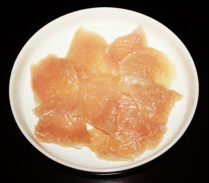 Spread the chicken pieces on the cutting board or a plate. 9. Sprinkle cumin powder, red chili powder and salt over the chicken pieces. 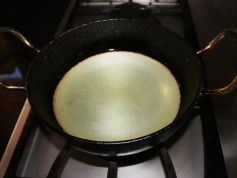 and remain greasy, adjust the heat accordingly. 12. 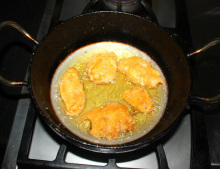 With the spoon mix the batter and drop few chicken pieces in the batter. 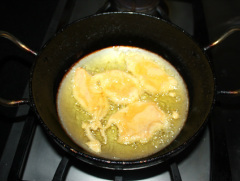 Take one after another piece of chicken making sure they are well coated with the batter drop into hot oil. 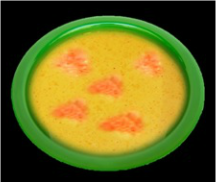 long otherwise chicken will overcook and become hard. 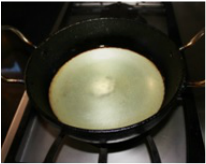 will fried quickly from outside and inside will stay raw. high. Repeat the process until all the pakoras are fried. 18 Serve pakoras hot with coriander chutney or tomato ketchup. 1. 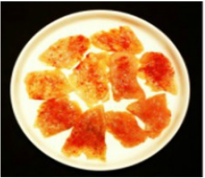 Instead of gram flour, bread crumbs could be used to make chicken pakoras. 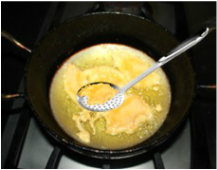 Whisk an egg in the bowl, dip a chicken piece then roll into bread crumbs then deep fry or shallow fry them in the frying pan or bake them in the oven.